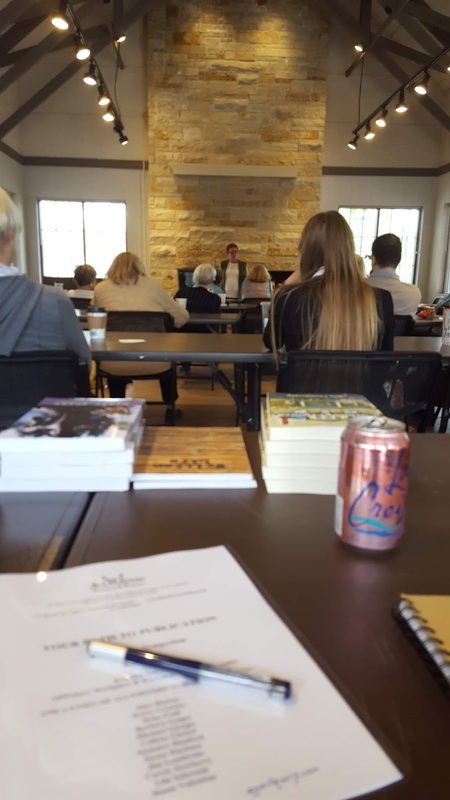 Yesterday I spent my afternoon as part of a panel of authors for an AllWriters symposium on how to get published. The panel was comprised of a dozen or so authors, all of whom had been published with traditional small presses. Many of them had multiple books and a few even had multiple books in multiple genres. The group fielded questions the audience had written and submitted prior to the panel. I was flattered to be a part of it but it also felt a little surreal to me. I still consider myself new to the whole writing thing and like most writers suffer from the self-doubt/self-loathing bug, so facing the music that I might be able to help others still seems like a stretch. But me and the rest of the panelists did alright. Some of the questions were pointed to specific people based on what they'd published and others were just opened up to the whole panel. During the question and answer period I found it interesting that my inner extrovert comes out of his shell when I start talking about writing. It is one of my bigger passions right now - even though I'm still new at it, still faking it till I make it - so when I get going, it's hard to stop. Part of it too is that I really want to help people. Like any endeavor, brewing beer, fishing or setting up a GIS system, I love sharing what worked and what didn't. There's nothing to be gained by keeping your success secrets to yourself. So aside from the fun of networking with other writers - something I can't get enough of - there were pieces of advice. There is no proper discipline for writing. Just doing it is discipline. Don't let the story you think your writing get in the way of the one that is supposed to be written. Don't worry about your audience or yourself. Focus instead on writing a good story. At some point students may outgrow the need for a peer review/critique group. Everyone is different. Do what works for you. Outlines are not essential. Writing the story is. Then, organize it. When writing a trilogy, don't try and sell it as a trilogy. Sell the book you've written and mention that it is part of a trilogy. It was a great afternoon and fun to see some old friends. I've found that there's always something to be gained by hanging around with peers. And this was a good bunch of them.